I Need a Kidney Transplant and Your Help! My life was completely changed 17 years ago when I was diagnosed with chronic kidney failure. At 19, I was rushed to the emergency room and immediately placed on hemodialysis. I accepted the hemodialysis catheter that was placed in my neck as a blessing — a lifesaver. Prior to that, I had experienced undiagnosed medical problems that in the end left me deathly ill. Once I was placed on dialysis I was also told that my only chance at a healthy life was to have a kidney transplant. After I was on dialysis for two years, my sister lovingly offered to be my living kidney donor. While dialysis allowed me to live, the kidney transplant allowed me to live an active life, have a job, receive promotions and responsibilities, go to school, travel and even try different foods – all normal life experiences a person in her 20’s or 30’s would hope to have. I have taken care of my “gift-of-life” for 15 years. Unfortunately, transplanted organs do not endure for a lifetime and it is now time for me to undergo a second kidney transplant. Even with insurance I will face many uninsured transplant-related expenses such as: co-pays and deductibles, doctor visits and the costly immunosuppressant medications that I will continue to need for the rest of my life. I am appealing to you through this letter as I could really use your assistance. This Oliver Betts, Nickie Taylor is my youngest daughter. This have been a life change for all of us. I remember when i first learned, That Nickie had kidney failure. It changed all our lives. I was worried she wouldn't be able to live a normal life. Once she received the kidney my baby girl was living a very normal life. You wouldn't know she had kidney failure. Now it's time for her to get another. I notice she's not as active as she was. That worries me a lot im not happy unless my kids are happy. It's a hurtful feeling when you can't help your baby feel better. This is Jessica, Nickies sister. I am 15 years old and my sister has been there for me all my life. I love her very much and I do not want her to leave me this early in life. She means so much to me, even though we bicker sometimes she's still the best sister ever. We may live in different states, but when she comes to visit it's like we've never left each other. I hope you can help her. Thank you. this is nickies mom francie betts I love my daughter very much I'm sure if any one out there with children know how I feel, If u are able to give her a donation no matter how small I would appreate it. Everyday I pray to our father in heavens that all go well with my loving daughter. She would do the same for anyone, because she is a very loving and caring person. Thank you so very much! Nickie-Nik I'm here for you I will do what I can and support you however I can!!! Love You Thank you to the relief help sponsorships their awesome!!! Im Janisha Betts, Nickie's cousin. My cousin always been a go getter, responsible and loving person. She alway put a smile on my face. It was very challenging to witness my cousin illness consume her. Nickie never let her pains get in the way of her succeeding in life. She amazes me. Nickie is very blessed to have a sister who unselfishly gave her a kidney. I love them both and admire their sister hood. Thank you HELPHOPELIVE and everyone who can and have supported my lovely cousin Nickie. 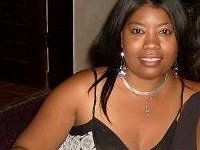 I'm the loving sister Nakia Betts Jackson, gave my sister one of my kidneys 15 years ago. It broke my heart to see my sister life put on hold, when she had to go to dialysis three time a week for three hours. After two years I was a perfect match. Nickie was able to have a very productive life. My kidney have lasted this long so far which is a blessing. Now its time foe her to receive a new kidney. We have so much support in our family and friends. Nickie is such a loving and inspiring person. When I feel I don't have the strength to go on. I think about my sister how she keep going and don't let nothing get in her way so that help keep it moving. With your help and the help of HelpHopeLive.. We can help Nickie get her transplant..